UFC® the world’s premier mixed martial arts organisation continues to push the boundaries with AirAsia as its brand partnership takes on new life via the biggest fight in MMA history, as UFC lightweight champion Khabib Nurmagomedov (26-0, fighting out of Dagestan, Russia) battles former two-division UFC champion Conor McGregor (21-3, fighting out of Dublin, Ireland) in the main event of UFC® 229: KHABIB vs. McGREGOR, presented by Harley-Davidson, on Saturday, October 6 at T-Mobile Arena in Las Vegas. The match-up is the most anticipated in MMA history, the event will see UFC and AirAsia deliver unprecedented branding inside the world-famous Octagon®. The famed red corner will be taken over by AirAsia creating unparalleled visibility for the airline brand on fight night. In the lead up to this colossal event, AirAsia’s cabin crew will join UFC’s Octagon Girls on stage during the official ceremonial weigh-ins, as one of the many highlights of a UFC fight week which sees thousands of fans in attendance and millions watching around the world. Through this multi-facetted partnership, AirAsia will extend its brand presence on a global scale with asset integration across UFC’s social, digital, and Pay-Per-View broadcast of the event. Beyond UFC 229, AirAsia will continue to activate across UFC properties including the organisation’s inaugural event in Beijing later this year, when UFC returns to China for UFC® FIGHT NIGHT: BLAYDES vs. NGANNOU 2, presented by General Tire. To further cement its status as the first Official Airline partner of UFC, the AirAsia Airbus 330-300 decorated with UFC branded livery will fly to Beijing during fight week. Earlier this year, AirAsia announced its support to develop the next generation of MMA athletes in Asia, by sponsoring Indonesia’s One Pride strawweight champion, Linda Darrow, as the inaugural recipient of the first UFC Training Scholarship, for a month-long program at the UFC Performance Institute®, the world’s first mixed martial arts multi-disciplinary research, innovation and performance center. UFC’s commitment to the Asia-Pacific region is driving exponential brand growth with increases seen in fandom, live events and athletes as the organization continues its investment across the MMA ecosystem. 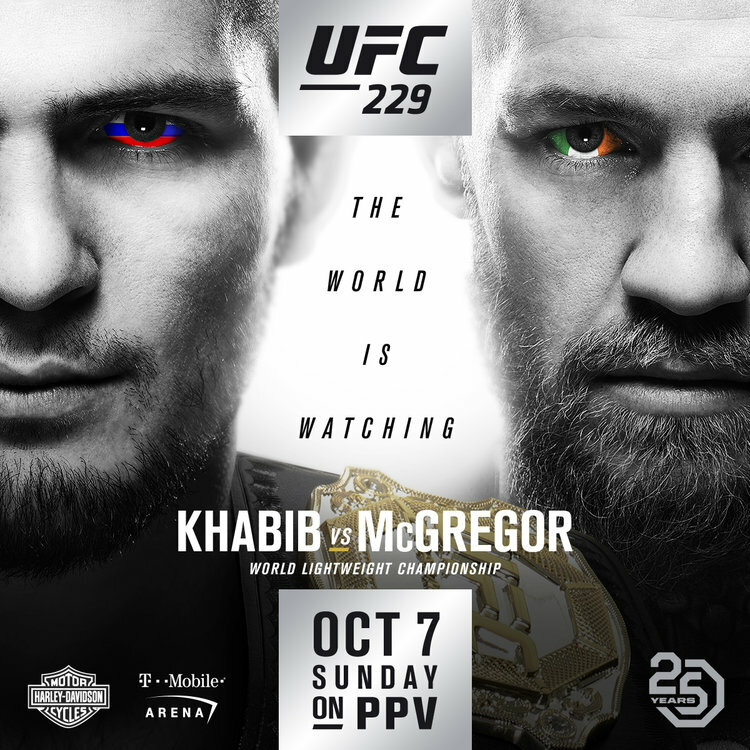 Fans across Asia can tune in to watch UFC® 229: KHABIB vs. McGREGOR, presented by Harley-Davidson, on Sunday, October 7, please check local TV listings for more information. For more information on UFC, please visit UFC.com. Follow us on, WeChat, Youku, QQ, Facebook (UFC Asia), Twitter and Instagram (@ufc). For more information on AirAsia, please visit airasia.com or follow AirAsia on Facebook and YouTube (AirAsia), Twitter and Instagram (@airasia), Weibo (@亚航之家) or WeChat and Zhihu (@亚洲航空).